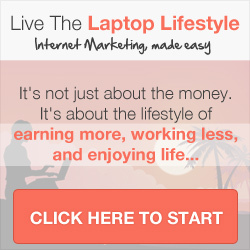 On this page you will find out all the traffic generation products Mark Ford has to offer to help you drive traffic to your home business websites. Article marketing is one of the best free traffic generation strategies to drive people interested in what you have to offer to your home business websites. It requires you to consistently create valuable content for your website visitors, subscribers and customers. The content creation can either be done yourself, outsourced or article marketing software exists to make it less time consuming and write the copy for you. Click the button to view all article marketing products recommended by Mark Ford. Email marketing is a powerful traffic generation strategy to drive people to your offers and services. My recommended email marketing resource is Aweber. They offer a whole suite of resources to enable you to wutomate your communications to your customers and subscribers. Click the button to view all the email marketing services products recommended by Mark Ford. With over 1 Billion active Facebook users this is one of the best traffic generation platforms. You can laser target you advertising efforts to any particular niche knowing that you will get instant traffic to your offers. You can build up a following which will allow you to market your products for free as well as taking advantage of their paid marketing platform to flood yur site with visitors. Click the button to view all the facebook marketing products recommended by Mark Ford.